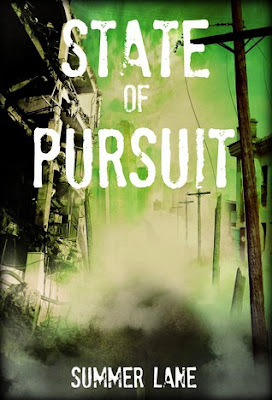 Today I'm delighted to welcome Summer Lane, author of State of Pursuit, to my blog. As you read her post, you'll probably guess what attracted me to her book. Summer Lane is the author of the national bestselling Collapse Series, which currently includes State of Emergency, State of Chaos, State of Rebellion and the fourth installment, State of Pursuit - releasing June 6th, 2014. She owns WB Publishing, and is the CEO of The Art of Storytelling, an upcoming creative writing program for children. Wartime hardship has always been the dominating factor in our romance. It’s what brought us together, it’s what’s kept us together, and now…it’s what has torn us apart. Being separated from Chris is more difficult for me than being separated from my father. Because through everything, Chris has been the one that has kept my feet on the ground. He’s been the one to protect me, train me, and teach me how to survive. The fact that I’m still alive is a testament to his skillset, not mine. And not knowing if he’s alive or dead is killing me.